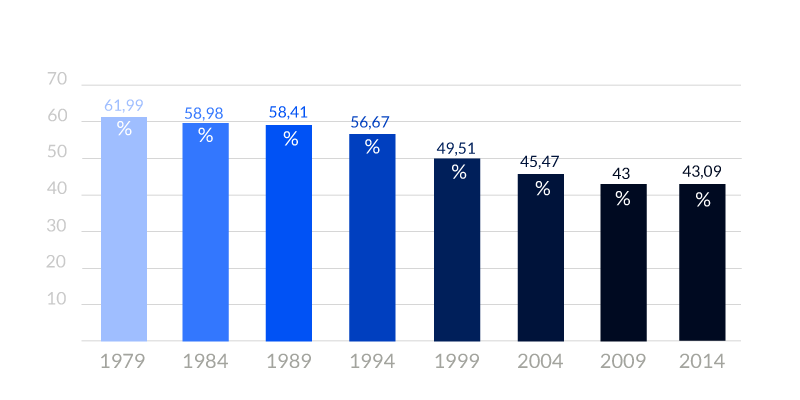 Since 1979 election after election turnout in the European election has declined constantly. Abstention has become the majority choice. – 2004: 25 (15 + Cyprus, Estonia, Hungary, Latvia, Lithuania, Malta, Poland, Slovakia, Slovenia & Czech Republic). – 2009 : 27 (25 + Bulgaria, Romania). Following the enlargements of the EU we have witnessed a rise in the number of voters. 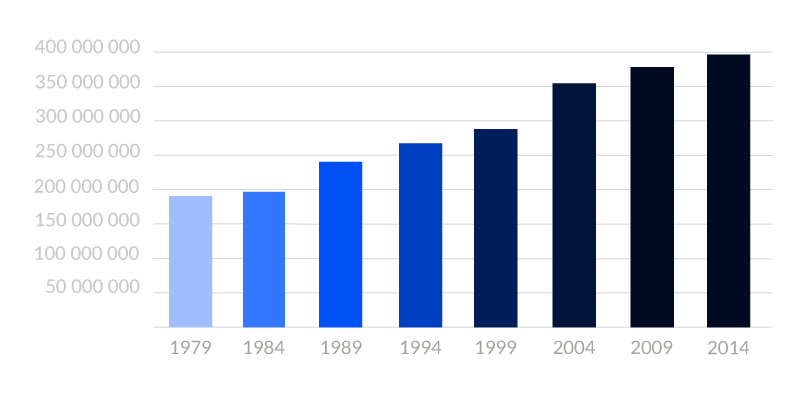 Nearly 185 million European voters were called to ballot in 1979 in comparison with 375 million in 2009 and more than 394 million in 2014, there will be some 340 million in 2019.